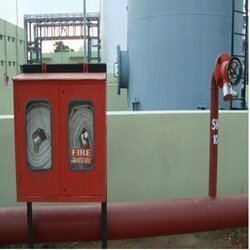 We are engaged in Trading & supplying fire hydrant system, & wide range of fire alarm system, fire hydrant & sprinkler system and velocity hydro spray systems. Fire Hydrant systems are very popular and hence many, Clients search only for Fire Hydrant Companies or Fire Hydrant System Suppliers; but the important thing to understand is that it may not be the most efficient system. Listed in the category of topmost organizations, we are involved in the trade and retail of Fire Hydrant Valves to the clients. Armored with strong body and quality approved components, these fire hydrant valves are renowned for their trouble free performance for long period of time. These fire hydrant valves are engineered with perfection and are among the best range of the fire hydrant valves available in the market. Counted in the pool of the topmost organizations, we are trading and retailing Pulley Fire Hydrants which are renowned for their excellent quality and long functional life. These pulley fire hydrants are coated with an antiresistant material which provides complete protection to these pulley fire hydrants. Fire Fighting Hydrant Systems are the most commonly used systems, in many residential and industrial projects. 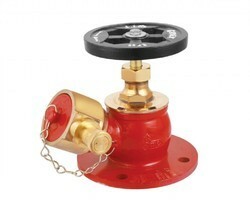 If you have ever seen a “Red” colour pipe, circulating around a building or factory, you have seen a Fire Hydrant Pipe. In most news clippings about a fire, you can see a fireman shooting water up to 8stories high or more, that fire man is using the Fire Hydrant System. Such is the power of the Fire Hydrant System that water can be shot right up to 8 floor, directly into the fire. Fire Hydrant Systems are very strong and can be used from medium to large sized fires. Fire Hydrant Systems, have a long range. Since the Fire Hydrant System is spread out, the fire hydrant can attack fire from different angles. This entire systems requires low maintenance and virtually, does not leak water. Besides this, Fire Hydrant Systems have a long life. 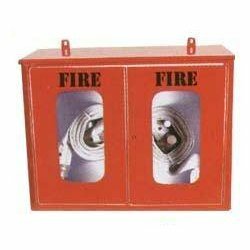 Fire Hydrant Systems forms the basis, of Fire Protection Systems, without Fire Hydrant System a Fire Protection System cannot be called a Fire Protection System. It will be a superficial system. (With respect to large areas, in general). Fire Hydrant System installation is relatively easy. A special well is dug, called “Fire Well”, where water is stored throughout the year for 365days. This water well is connected to the pump room. From the pump room, there are two to three main pipes. These pipes form a network of pipe that cover the factory compound and the factory. The pump has the work, to continuously filling all the pipes connected with water under pressure. The pressure is nearly 7bar to 10bar. When a fire is seen by a person, he activates the hydrant system and points it in the direction of the fire. A very strong flow of water now, attacks the fire and the fire is eventually extinguished. The pump continuously pumps the water to maintain the system pressure. Flash Point Controls, over the years, has built a reputation of making excellent Design, Engineering, Supply and Installation of Automated Industrial Fire Hydrant System. 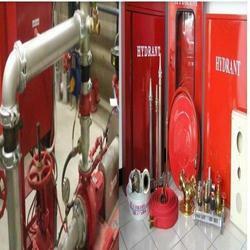 Our Engineering is designed to meet the norms set by the TAC, NBCC, NFPA etc. The materials used in the system are invariably from reputed Traders spread across the country or even abroad. No compromise is made with them even if the job has to be executed at an unusually low budget. Speedy execution is our other specialty that very few – if not any, are able to match! Backed with a team of highly experienced professionals, we have been able to manufacture and supply our clients a high quality range of Fire Hydrant Landing Valve. 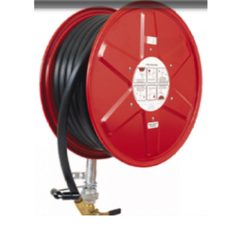 Precisely engineered using advance technology and optimum quality raw material, this valve connects in water hose to landing valve to get water for extinguishing fire. This Fire Hydrant Landing Valve is provided in different dimensions and designs to meet various requirements of our clients.